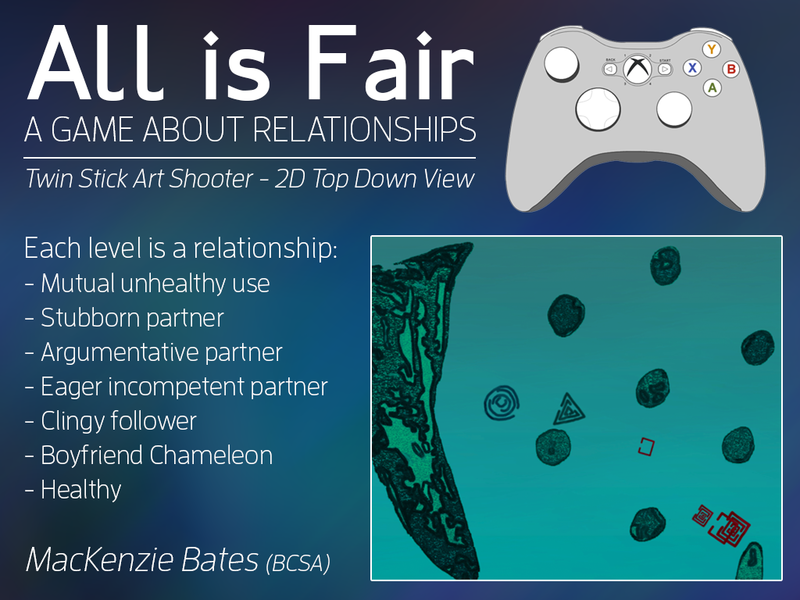 All is Fair is a game about relationships. It is about how they differ, how they are similar, how to make them successful and making the player experience them. This takes the form of a Twin Stick Art Shooter, as I like to call it. This 2D top down shooter has gameplay similar to Halo Spartan Assault, but simplified and focused on the relationship between the player and their computer-controlled companion. 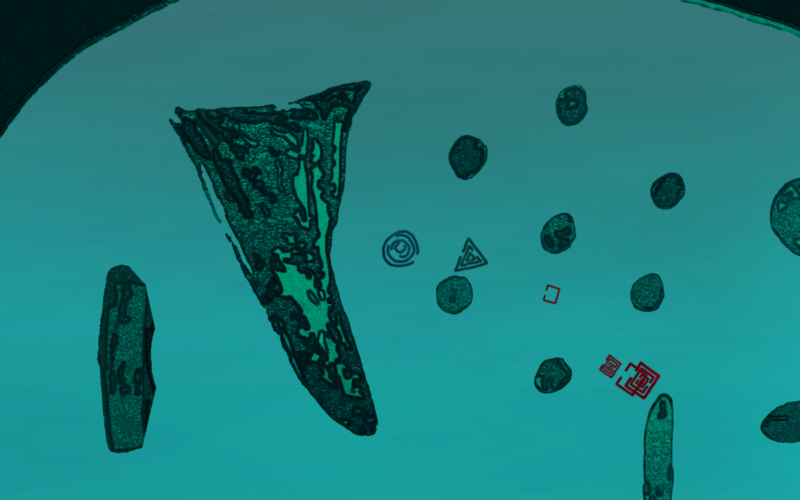 The player and their companion are fighting “The Fear” which is the physical manifestation of things that try to end a relationship. It represents: tension, fights, confusion, jealousy. The Fear fires part of itself (just as do all characters, bullets look like the outer shell of person whose health was used as ammo to fire the bullet). The Fear has infinite hatred/ distaste (infinite ammo).